WonderFox Free HD Video Converter Factory is a powerful high definition video conversion software with advanced high definition video conversion technology and the latest encoding technology. It can help you convert video between SD and HD video formats with the least quality loss. In addition, with CPU and GPU acceleration technology as well as Multi-CPU and Hyper Threading, it generates up to 30X real time conversion speed better than many other likewise HD video converters. WonderFox Free HD Video Converter Factory has an easy-to-understand user interface. Even if you don’t have much conversion experience, you can handle the software well on your own. WonderFox Free HD Video Converter Factory is perfect for all skill levels with its intuitive UI and custom setting option. 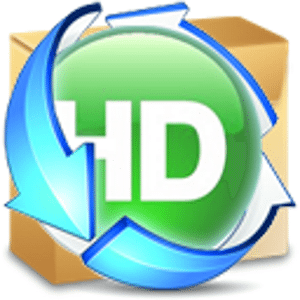 You can simply free convert SD files to higher definition with fast speed. The Free HD Video Converter Factory provides an easy-to-use interface which is very intuitive to every user. Even if you are a completely newbie, you’ll feel it easy to navigate. With simple 3 steps, your conversion task can be accomplished. WonderFox Free HD Video Converter Factory enables you to convert any video file to almost all video formats, such as AVI, MPG, MOV, MKV, H265, VP9, WMV, M4V, FLV, SWF, MTS, 3GP, VOB and many more. Audio conversion is also supported. It allows you to convert nearly all popular audio file formats including MP3, WMA, FLAC, AAC, AC3, M4A, AIFF, OGG, etc. Besides, It let you convert videos, to a wide range of portable devices like iPhone, iPad, Apple TV, Samsung GALAXY series, HTC, BlackBerry, Nokia, PS4, all sorts of hot TV set, such as Samsung TV, Sharp TV, Panasonic TV, LG TV, etc. But the Free HD Video Converter Factory is not only a video conversion software, but also a online video downloader, especially a YouTube downloader. It empowers you to copy and paste online video URL, analyze, download an convert it with one stop solution. All plans are eligible for a free, 30-day trial. The initial sign-up process is quick and painless, and that makes the entire experience worthwhile! Besides, it provides you with a built-in video editor and video player. You are able to crop video, merge video clips, rotate video file as well as add effects to video. It’s an all in one media related software. As one totally freeware, WonderFox Free HD Video Converter Factory easily surpassed other free video conversion software. It’s recommended for not only beginners but also skillful users. I often use IDealshare VideoGo to convert all Sharp TV unsupported video file, like MKV, MP4, AVI, WMV, MOV, FLV, ASF, 3GP, AVCHD, MPG, MPEG, WEBM, etc to Sharp TV supported one and also convert any video format to another one, like converting MKV to MP4 etc.